Marilynn Smith, a founder of the LPGA tour, a member of the World Golf Hall of Fame, and winner of 23 LPGA tournaments, died today. Read her NY times, Golf Digest, and The Golf Channel obituaries. Renowned golf writer and member of the World Golf Hall of Fame (2012) Dan Jenkins passed away on March 7 at the age of 89. Read his obituary in the New York Times and the Fort Worth Star-Telegram. And this tribute from Golf World. Read also his hilarious “interview” with Tiger Woods which the then imperial personality did not find to be amusing. Be sure to listen to his monologue below the end of the article. Jenkins’s novel, Semi-Tough, about pro football, was made into a movie starring Burt Reynolds, Kris Kristofferson, and Jill Clayburgh. Another of his novels, Dead Solid Perfect, about professional golf, was filmed as well, starring Randy Quaid and Kathryn Harrold. And finally, read his account of the stroke-play qualifying for the Greatest of All Time Invitational, played starting March 20 at the Augusta National Golf Club. It’s in the April 2109 Golf Digest, with Jordan Spieth on the cover. 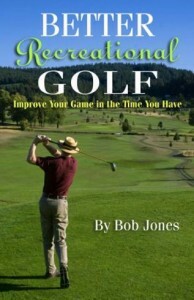 The article is likely Jenkins’s final piece of golf writing. It will leave you in stitches. What a gift to leave to us. Gene Littler, winner of the 1961 United States Open and 28 other PGA tournaments, and owner of the smoothest swing in the game during his prime, died on February 16 at the age of 88. Read the obituaries from the New York Times and Golf Digest. Carol Mann, winner of 38 LPGA tournaments, and star of the Tour in the 1960s and 70s, died on May 20 at age 77. Read her obituary in the New York Times and the Chicago Tribune. In her early days as a professional, Mann toured the country with Patty Berg, giving on-course clinics. I attended one that was held on the 10th fairway of the Eastmoreland Golf Course in Portland, Oregon, in roughly 1961. It is a fond golf memory. Hall of Fame golfer and master of the wedge game Doug Ford died on May 14 at the age of 95. Ford won 19 PGA tournaments from 1952 to 1963, including the 1955 P.G.A. Championship and the 1957 Masters. Read obituaries in The New York Times and Golf Digest. Arnold Palmer’s passing is the biggest golf story of the year. There are articles today in every newspaper about who he was and what he meant to the game. I won’t go over any of that. This post is about my personal recollections. A number of years ago I posted my story about the one time I met him, when I was eleven years old, getting his autograph. That was the start. The Golden Age of Sport was whenever you were between the ages of about nine and fourteen. You’re old enough to know what’s going on, and young enough to still have heroes. That’s exactly where I was during Palmer’s rise, and he was my hero. I reveled in his victories. When he lost the 1966 U.S. Open I was despondent for days. All my friends I golfed with liked him best. Really — who else was there to have as a favorite compared to the likes of Arnold Palmer? Yes, he was charismatic. Yes, he was telegenic. But he was more than that. We learned (eventually) to admire Jack Nicklaus. We respected Gary Player. But Arnie was one of us. He never hid himself from us. The more attention he got from his fans, the more he thrived. The phenomenon of Arnie’s Army has never been duplicated — no other golfer has ever commanded than kind of attention. For a while there was Jack’s Pack, but it never got off the ground like the Army did. In an time when most Tour pros had an idiosynchratic, home-grown golf swing that was recognizable two fairways away, Palmer’s was the the most recognizable and the most exciting. He didn’t swing at the ball, he attacked it, forcing it go where he wanted. Though a long hitter, he wasn’t that long, but he was very straight. The shots he took that looked like gambles generally weren’t. He knew he could pull it off and he did. In the really 1960s Palmer won many times each year. It was said once that your tournament wasn’t a real success unless Arnie won it. How he won was exciting, too. It seems no other golfer could withstand his onslaught once he put his mind to winning. But if that’s all there had been, he wouldn’t have been The King. It was his touch with people. A nicer man never walked the Earth. His warmth and charisma touched people on a personal level. His fondness for people was genuine. Given his status, he could have been anything he wanted, but in the end he never retreated from treating everyone he met with courtesy and respect, as if it were his honor to have met you. We’ve had lots of good golfers over the years. But there has been only one Arnold Palmer. Long live The King. Arnold Palmer, The King, died today, September 25. A longer post will follow. Christy O’Connor, a legendary Irish professional golfer, died on May 14 at age 92. He became known as Christy O’Connor Senior when his nephew of the same name began competing in the early 1970s. O’Connor Senior turned pro in 1948. He won twice in 1953, then annually on the European Tour or in other events until 1972, and five more times from 1974 to 1980. He represented Ireland in the Canada Cup fifteen times, including thirteen years in a row from 1955 to 1969. He played in ten Ryder Cups, from 1955 to 1973, a record until broken by Nick Faldo in 1997. His highest finish in a major championship was second in the Open Championship, the only one of the four modern majors he ever competed in, in 1965. Once, when playing a practice round for the Open at Royal Troon, he missed the green hitting into the 123-yard 8th hole. A gallery member commented that a professional golfer should be able to hit even a small a target such as that. O’Connor’s reply was to empty his bag of golf balls and hit one onto the green with each club in his bag except his putter. A legendary instructor passed away on April 24. 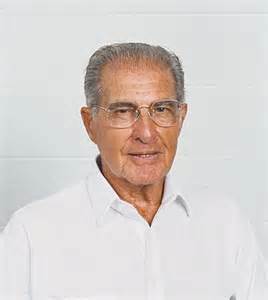 Spanish-born player and coach Manuel de la Torre, based in Wisconsin, taught that the golfer should think about how the club moves and not about how the body moves. If the club moves correctly, the result will be a good shot. There are many ways the body can move to get the club to move correctly. 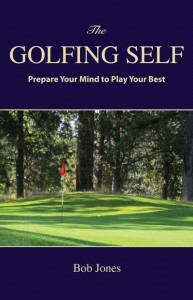 Once a golfer understands what the club is supposed to do, that player’s unconscious mind will take over and guide the body to produce that result. See him explain this concept here. de la Torre was an accomplished golfer, finishing as runner-up in the 1942 NCAA final. 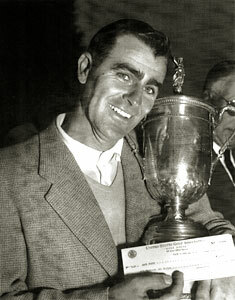 He won the Wisconsin State Open five times and the Wisconsin PGA Professional Championship five times. He had top ten finishes in PGA Tour events, too. He was inducted into both the World Golf Teachers Hall of Fame and the PGA Hall of Fame. 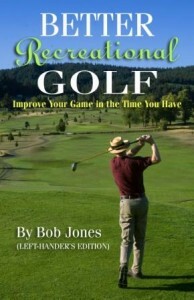 The book, Understanding the Golf Swing, explains his golfing philosophy. The man who defeated Ben Hogan in the 1955 U.S. Open died today at the age of 92 in Fort Smith, Arkansas. Fleck was an outstanding ball striker, but an indifferent putter. He came to the Olympic Club confident and knowledgable, having played many rounds there. He was one stroke off the lead going into the Saturday 36-hole final. With several holes to go for Fleck, Hogan was in the clubhouse with a two-stroke lead. On the 72nd hole, Fleck need a birdie 3 to tie Hogan. He got it, to get into a playoff the next day. Fleck had a one-stroke lead on the final hole when Hogan slipped hitting his drive, and ended up with a double bogey 6, securing the victory for Fleck. Fleck, who began and ended his career as a teaching pro, did not receive the adulation a National Open championship normally received, one, because he beat Hogan, and two, he was an unknown. He got a set of Ben Hogan irons just before the Open, with the blessing of Hogan himself. Fleck won only two more tournaments on the PGA Tour. His autobiography, The Jack Fleck Story, describes the payoff shot by shot.